[FIT 2] Timer and Stopwatch? The gear app on my phone shows in the available list of apps a stopwatch and timer app. However, they don't show up on my phone. I moved them up to the top of the list in positioning but nothing. Anybody know how to use them on the fit2? Re: [FIT 2] Timer and Stopwatch? They have to be installed first. 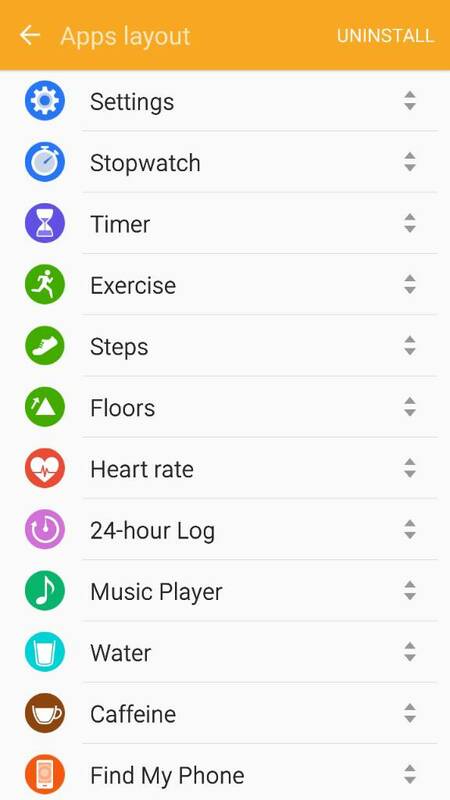 Then you find them between apps in your gear fit2 (not widgets). They are installed. I checked in the Samsung gear store and it also daid installed. But can't find on watch. No these icons on your watch? If not, try to reinstall them while keeping phone and watch together (synchronization). I was thinking they would be on the main home screen swiped to the side, not on that. Yes they are there. Wow...I feel stupid now.